January 7, 2015, will be remembered as the day Islamic terrorists declared war against free speech throughout the world, with their attacks on Charlie Hebdo in Paris, France. Those who witnessed the heinous act reported that the terrorists shouted, “We’ve avenged the honor of the prophet!” following the attack. January 7, 2015, will also be remembered as the day Islamic terrorists immediately lost the war they declared. Witness the beautiful acts of civilized people across the globe: we are avenging the honor of the terror victims and the honor of free speech itself by exercising our right to free speech louder than ever. Since the attack, tens of thousands of people have exercised their right to free speech by taking to the streets to stand in solidarity with the victims and the principle of freedom of speech. 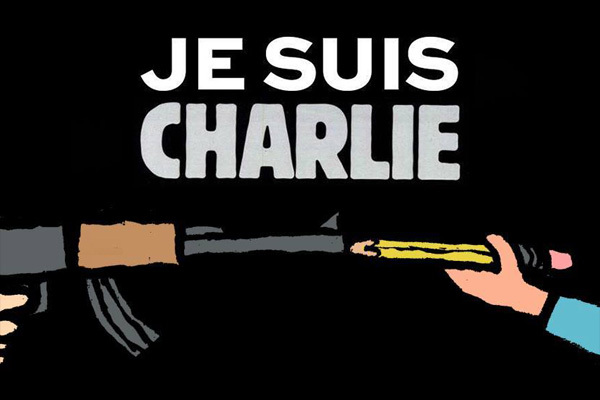 Millions have exercised their right to free speech on social media, using the hashtag #JeSuisCharlie (“I am Charlie”). And intuition tells me that millions more throughout the world have personally resolved to remain unintimidated. Joe Randazzo, former editor of The Onion, responded to the attacks with an article proclaiming that Islamic terrorists “cannot kill [free speech] by murdering innocent people—though [they] can nudge it toward suicide. That is the real threat: that we’ll allow our fear, or our anger, to kill ourselves.” Randazzo concludes that “the most responsible thing we can do is be aware that the most likely threat to freedom will now come from within. We cannot, should not, police our own thoughts—or the thoughts of our fellow citizens.” We must remain vigilant in our responsibility to nurture free speech in society, not just today but every day. That marks a sea change at one prominent American institution of higher learning, as the nation’s colleges and universities have been harshly cracking down on freedom of speech for the past quarter-century, with awful effects on academic freedom and intellectual endeavor. It is through beautiful acts like these—by our unshaken embrace and exercise of free speech—that we declare complete and total victory over Islamic terrorists who hate our civilized lifestyles. 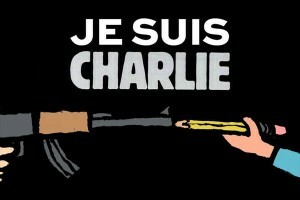 Planting the seed of love for free speech into our very beings, and allowing that seed to grow and bloom throughout society, is the ultimate vengeance for the Charlie Hebdo terror attack victims. It’s also the ultimate punishment for the barbarians who committed the attack. Let this attack spur our nation to reaffirm our commitment to free speech and our fellow man. We might not agree with what he has to say, but we must be willing to fight to our deaths for his right to say it.